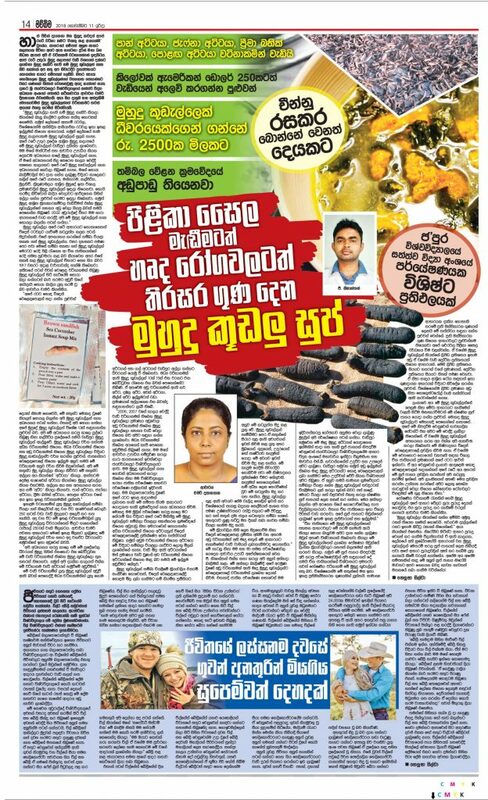 සත්ත්ව විද්‍යා අධ්‍යයන අංශයේ ආචාර්ය චමරි දිසානායක ප්‍රමුඛ පර්යේෂණ කණ්ඩායම සිදුකරන ලද පර්යේෂණයක ප්‍රතිපල ඇසුරෙන් “මව්බිම” පළවූ ලිපිය. Field visit to water treatment plants, Ruhunupura, Sagama, Kondawattuwan and Kanthale. Department of Zoology, Faculty of Applied Sciences, University of Sri Jayewardenepura, Gangodawila, Nugegoda, Sri Lanka.